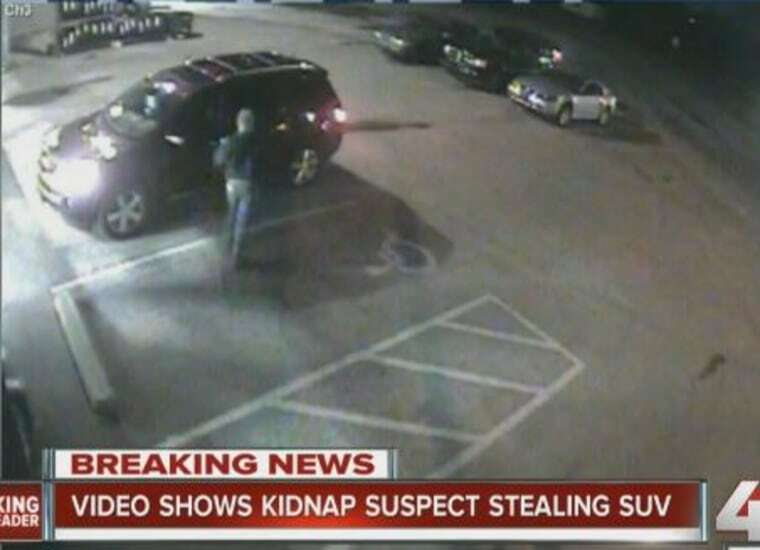 Two girls were accidentally abducted Tuesday when their family's SUV was stolen, according to police in Kansas. The children, aged 2 and 6, were waiting for their dad in a 2009 GMC Acadia parked outside a business in the southwest Kansas City suburb of Olathe. It was seized by a suspect who was fleeing a nearby auto mechanic shop where he had attempted to steal another until being confronted by a witness, the Olathe Police Department said. The girls’ father, Luis Fragoso, told NBC station KSHB he gone inside Tim’s Tire Store, where he worked, only for a moment when the drama unfolded just before 6 p.m. local time (7 p.m. ET). He called 911, where officers issued an Amber Alert. Officers on patrol later located the missing SUV abandoned about one mile away and found the children safe inside. “The suspect, who was described as a white male in his 40s, was not located at the scene,” police said. Fragoso added that the girls were unshaken by their ordeal, adding that one of them had slept through the incident.